ISIS – The Bigger They Get, The Harder They Fall Or Do They? According to U.S. Secretary of State, John Kerry, ISIS has “definitively” been halted in Iraq, although they continue to be dug in at Mosul. The US Coalition, Iraqi forces and Kurdish Peshmerga are positioning to take back Mosul. Nothing was said about the Syria “strategy,” except the upcoming Free Syrian Army training program to start in March. According to The Independent, Foreign Intelligence [presumably including the US] believe ISIS has around 31,500 fighters. On November 16th, 2014, Fuad Hussein, the chief of staff of Kurdish President Massoud Barzani told The Independent that “I am talking about hundreds of thousands of fighters [ISIS] because they are able to mobilize Arab young men in the territory they have taken.” At that time, Hussein estimated ISIS ruled a third of the Iraq and Syria area with a population of 10 to 12 million. That is a huge recruiting pool. Is ISIS definitively halted in Iraq or are they halting for the purpose to re-evaluate and re-initiate? Time will tell. In the meantime, ISIS has transferred armaments and manpower to Syria. How many fighters and how much of their armament has now been added to Syria is not known. In Syria, the US Coalition has been inconsistent in their campaign with ISIS. Syrians report “it is hard to understand the logic.” Initially, the US-led coalition targeted many different sites, and even targeted some al-Qaeda enclaves. Over the past couple of months, however, primary targets have been limited to Kobani with an occasional side mission. The US is adamant that they will not provide direct assistance against the Assad regime, even though they have been provided evidence that Assad has had a long relationship with ISIS predating the Syrian Revolution. It is highly unlikely that the US is ambivalent to Assad’s contribution to Syria’s build-up of terrorism in Iraq, as it was happening at the time of the US – Iraq war. Then in a somewhat curt statement, the Defense Department official told Mother Jones, “Snatching land from ISIS was never on the US agenda.” America’s strategic goals in Syria appear to have been clarified. The mission is still to improve the situation in Iraq, rather than also improve the situation for the People of Syria. What Kobani has been for the US “strategy” is “a great PR mission.” The US needed to prevent more ISIS fighters from flowing over the open border between Syria into Iraq. Taking a stand at Kobani apparently was a good place to put on those brakes. As for the PR: Most Kobani citizens were displaced as refugees into Turkey and many onto Kurdistan. There was a very true story of brave Kurdish fighters protecting their city and an enclave of 10,000 trapped citizens with well-armed ISIS fighters moving into the city in high numbers. Having the coalition air support has indeed helped the Kurdish fighters in their mission to regain Kobani. Without the coalition assistance, it is said Kobani would have fallen. A great PR story for the US-led Coalition in Syria, while meeting their Iraq mission. Today (January 26th) after months of fighting, there is an even greater success story for the Kurdish fighters and all the citizens of Kobani who were evacuated. “Kobani has been liberated from ISIS,” according to CNN. It has been a long fight for brave Kurdish fighters – both men and women. And when they called for help, they were joined by fighters from the Free Syrian Army and from the Peshmerga from Kurdistan. And, US air support was an asset. ISIS has fled. Where Did ISIS Run When They Left Kobani? There are other areas in Syria where ISIS has dug in – Raaqa, Deir Ezzor, and Aleppo. All of these areas desperately need a “strategy.” The strategy should coordinate US-led coalition air strikes with coordination from FSA on the ground. These areas are populated and there is a risk of what the military calls “collateral damage.” Horrible term! It should not be forgotten that an average of 2,000 Syrians are slaughtered each month by the Assad regime and other radical extremist. A clear reason why coordination with FSA on the ground is essential occurred on Sunday night in the rural region of Aleppo. The US-led coalition said they went after an ISIS target, but according to local residents and other rebels the actual target hit was Jabhat al-Nusra and another radical faction Ahrar al-Sham. The Syrian Observatory for Human Rights, a monitoring group, said “a series of airstrikes had targeted Nusra Front, including in Idlib province in northwest Syria, where last week the organization routed [kicked-out, arrested or executed] Western-backed Syrian rebels.” Jabhat al-Nusra confirmed in a release that they had been hit by the US coalition, and two of al-Nusra commanders were martyred. According to Reuters, the US was in fact targeting the group they call “Khorasan” and more specifically a French born militant who converted to Islam by the name of David Drugeon. According to Almanar News, the US reports that they hit targets in both Raqqa and Aleppo, including a complex of grain silos and a mill in Aleppo. Considering the lack of food in Syrian opposition areas, targeting grain silos and a mill doesn’t seem like brilliant targeting. As a matter of fact, it would be interesting to hear the US explanation as to why they felt the need to destroy a food source for Syrian people. The strikes also hit a local IS headquarters between Minbej and the town of Jarabulus. A school was hit in Tal Abyad that ISIS was using as a local headquarters. These strikes followed a strike to the entrance of Syria’s main gas plant in the City of Deir Ezzor which apparently was a warning that ISIS better abandon the plant or the plant would be next on the bombing agenda. The gas plant feeds a key power station in regime-held Homs province. The only terrorist network that the US didn’t hit on Sunday was the Assad regime. When Assad goes all the terrorists in the regime will begin to crumble as the “moderate” people will prevail, regardless of religion. The US has now committed 1,000 US troops to train Syrian “moderate” Rebels, to start in March 2015. Training sites are planned in Turkey, Saudi Arabia and Qatar. Assuming the first group leaves Syria for training in March, It is expected they would return from training by the end of the year. That is just the first group, out of an expected total of 5800 fighters to be trained. According to US News, Rear Adm. John Kirby said, “The opposition forces are to be trained for three main purposes: to defend their own towns inside Syria against extremist groups like the Islamic State group, to later go on the offensive against IS forces, and eventually to work toward a political solution to the Syrian civil war.” The Syria “strategy” still does not consider that most Free Syrian Army member are hardened war fighters who have fought in the war for the past 4+ years. Some are original opposition members, while many others are Syrian Arab Army soldiers who have defected. The plan to begin the training has apparently been dragging on for months as officials have struggled to work out details of the program, and put together the “vetting process” to identify those moderate opposition fighters. This would obviously be fighters who don’t have a relationship with al-Qaeda or ISIS. The worry or insult will be if the vetting process disqualifies fighters based on their commitment to their religion. Because a Muslim is deeply rooted in their faith does not mean they are an extremist, any more than a Christian who is deeply rooted in their faith is an extremist. Islam does not condone extremism, any more than any other faith-based religion. Post by The Free Syrian Army – the Nineteenth Brigade. The US seems to be having a hard time understanding how ISIS can recruit so many fighters so quickly. They are hip to social media, they have a radio station and are broadcasting on their new television station. They have evangelists who are very effective at proselytizing. Also, when that doesn’t work they recruit by force – serve or die. 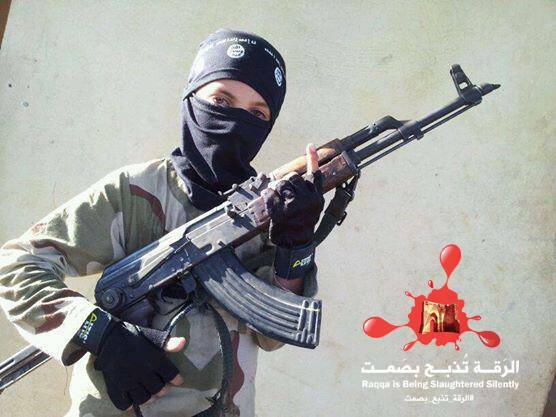 Many Syrian children have been seen participating in ISIS youth camps learning to be ISIS youth fighters. These children are there because it was strongly suggested to their parents, or single-parent mothers that this is the “only option” for their continued health and welfare. In an interview with Michael Weiss, by The Guardian, he talked about Ibn Taymiyyah, an ISIS cleric in charge of religious training. Ibn Taymiyya said “the foundation of this religion [ISIS version of Islam] is a book that guides and a sword that brings victory. We guide and the sword brings victory. If someone opposes the message of the prophet, he faces nothing but the sword. As the prophet spread the message across the Earth, we are doing the same.” This explains why ISIS not only kills people that oppose them, but also executes their own members on the battle field if they fail to fight. One Kurdish fighter remarked that they find ISIS children on the battlefield dead. It is possible these children were killed in battle or killed by ISIS commanders for not fighting. Perhaps they were not given enough drugs. The more the coalition kills, the more ISIS recruits and kills. One of the tenets of ISIS is that “they are avenging those that have been wronged before them and those that are being wronged now.” There is a lot of avenging on their roadmap to hell. And contrary to their beliefs, ISIS members are not killing their way to paradise. Imams from around the region have been working since August of 2014 to fight ISIS from a different angle. They have been using the Fatwa, which is an Islamic order or edict, to fight the ISIS terrorists. A fatwa may be used to cover any aspect of Islamic life. As Sheik Abdullah bin Bayyah of the Forum for Promoting Peace in Muslim Societies said, Fatwas are effective but it takes time. Basically what he said is that the fatwa can be used, in this instance with ISIS and young people who wish to join ISIS, as a teaching opportunity that can be slow but effective. In late September, a world respected cleric from the Forum for Promoting Peace in Muslim Societies, Sheik Abdullah bin Bayyah said what ISIS is doing “Is not a path to paradise” and “We must declare war on war so the outcome will be peace upon peace.” The Sheik also issued a fatwa that says .” .. establishing a caliphate by force is a misreading of religious doctrine.” It also states killing of innocents and violence are also wrong. In an interview with NPR, the Sheik said “Primarily [the fatwa] is really about addressing the mistakes, and it’s really warning them [ISIS] and advising them that what you are doing is clearly wrong,” he said. Religion is a sublime ethical and spiritual force that aims to heal human society, provide security and peace among people and ensure human dignity and the rights that flow from it. However, some extremists abuse their religion, distorting its image and using it to achieve non-religious objectives. They project violent images that contradict and violate the essence of their religion. It is definitely true that the ISIS fighters must be stopped in their tracks, however, the Imams have a good point. The war against ISIS and other extremists isn’t going to be won on the battlefield as President Obama stated in his speech when he said, “degrade & destroy.” ISIS has risen up from an ideal that is spreading like a cancer with a mutated gene. ISIS has mutated Islam in such a way that it is unrecognizable. Many people relate it to the early Islam, however, Islamic scholars disagree. It appears ISIS uses “selective Islam” or whatever will float their mission. ISIS must be fought in Mosques, in homes and amongst friends. It must be fought in communities well before ISIS ever has an opportunity to reach a possible recruit. 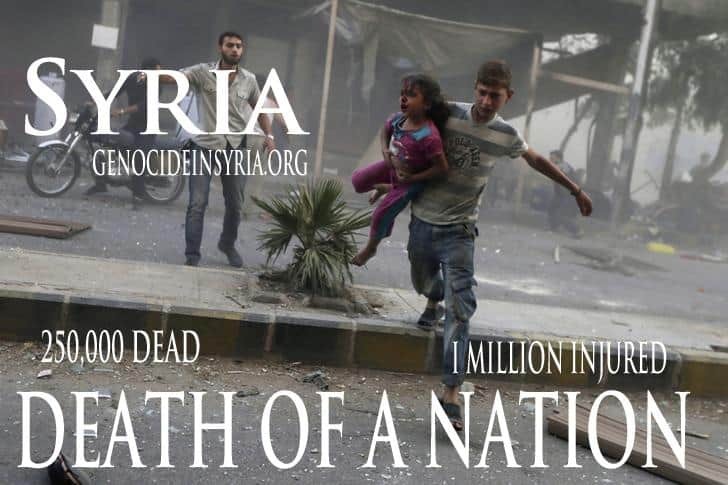 This is also true for Jabhat al-Nusra, because they have also committed heinous crimes against innocents.